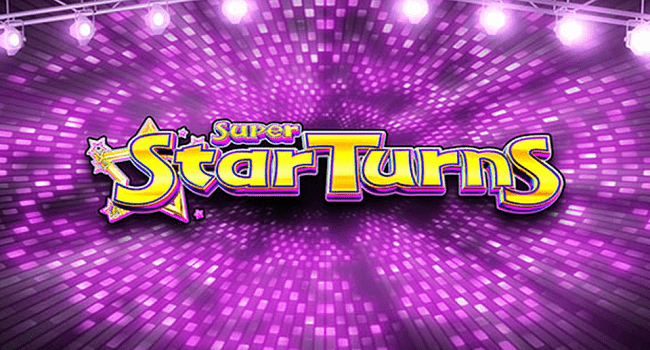 Super StarTurns is a nicely designed and flashy looking 5 reels and 40 Paylines online slot game developed by Barcrest. Coin range for this video slot starts from 10p per spin and goes up to 500 per spin. The game is created by using HTML5 technology and hence it is compatible across all devices including smart phones. The game offers a jackpot of 500 times of your stake and contains 3 Bonus rounds during Super StarTurns Bonus feature i.e. Green Wheel, Blue Wheel and Red Wheel. The game is inspired by TV gameshow and could get you 50 free spins when you are spinning the wheel. The game features some low paying symbols and some high value symbols. The low value symbols are A, K and Q royal values, while bottles of champers and wads of cash and beachside cocktails can also be seen on the screen. The game includes a wild that could replace all other symbols on the reels except the scatters. You can get 250 times your stake if landing 5 of these wild symbols on your reels. Red Wheel – If the pointer stops on red wheel then you will receive anywhere from 25 to 50 free spins and a cash prizes of 250 to 500 times of your stake. Blue Wheel – If it stops a Blue wheel then you will receive 8 to 12 free spins along with 20 to up to 50 times of your stake. Green Wheel- This is the lowest and would get you anywhere from 4 and 8 free spins or an upgrade to Blue wheel. Free Spins Bonus feature- land free spins and you will get this feature activated. If you land 5 scatters during this feature then you will receive 1 extra free spins to your total.